It has been a little while since I tried to pull meat loaf past my kids. 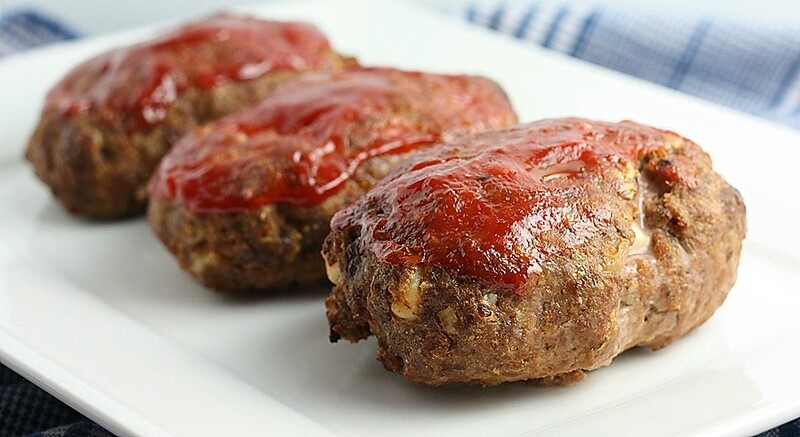 It is hilarious how they love hamburgers and meatballs, but when it comes to meat loaf, there is an instant aversion. I am not sure what it is about it – but I need to get them over the hump. Meat loaf is just so easy – much easier than making a bunch of meatballs, and more flavorful than normal hamburgers. Plus, I don’t have to have buns around – although I was seriously thinking about serving this meat loaf on a bun, just to see if they would notice…but I know better than to try that one. I saw this recipe in Cooking Light and the word “minis” caught my eye. Maybe if I made mini meat loaves, instead of one big one, they would think they are just huge oblong shaped meatballs? So I tried it, and it worked. It also could have been the cheese chunks in the middle – cheese is like butter in my house – everything is better with cheese. 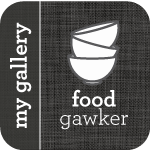 So I wouldn’t say that my girls were telling me this is the best meal they have ever had, but they did eat everything on their plate – which is definitely a compliment. Oh, I should also let you know – since they are both anti-condiments – I didn’t put ketchup on theirs, and that also helped. So – at least now I know the secret of making meat loaf for kids – it’s meat loaf minis! Heat a skillet over medium-high heat. Add breadcrumbs; cook 3 minutes or until toasted, stirring frequently. While breadcrumbs cook, heat a large skillet over medium-high heat. Coat pan with cooking spray. Add onion and garlic; sauté 3 minutes. Combine onion mixture, breadcrumbs, 1/4 cup ketchup, and remaining ingredients. Shape into 6 (4 x 2-inch) loaves on a broiler pan coated with cooking spray; spread 2 teaspoons ketchup over each. Bake at 425° for 25 minutes or until done. I actually bought ingredients to make this tomorrow night! I’m not a big meatloaf fan, but these looked so good in Cooking Light. Hope they’re as big a hit in my house as they were in yours! Made these tonight and they were really good! Will keep this recipe for sure! Just made it tonight. My 17yr old and 9 yr old loved it, my 13 yr old not so much. My husband and I really enjoyed it. And easy to prepare!